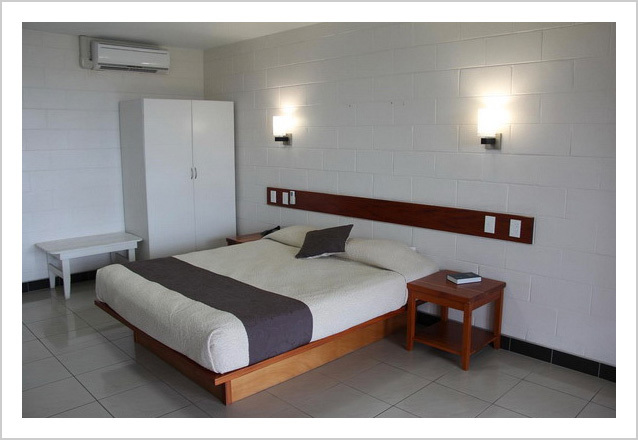 Our Standard Rooms are excellent for a single or a couple. Features and amenities include: 1 king bed, air conditioning, refrigerator, telephone, balcony, coffee/tea making facilities, cable TV, ensuite bathroom with shower and toiletries, internet WiFi access in room (Internet vouchers sold at reception), and a work/writing desk. The Deluxe Rooms are spacious and can comfortably fit up to 4 people. 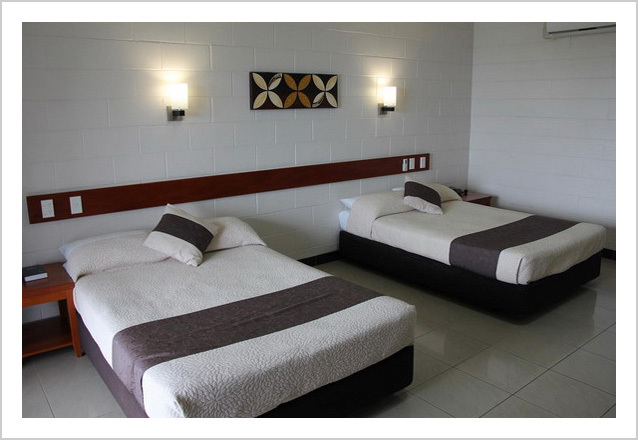 Two double beds are included in each room. Features and amenities include: air conditioning, refrigerator, telephone, balcony, coffee/tea making facilities, cable TV, ensuite bathroom with shower and toiletries, internet WiFi access in room (Internet vouchers sold at reception), and a work/writing desk. Deposit: 1 night required at time of booking. Cancellation less than 7 days in advance incurs a 1 night charge. Cancellation more than 7 days in advance incurs no penalty. Additional information: For early flights, the room needs to be booked for the night before. Late check-out until 6pm will be charged half the room rate, after 6pm incurs the full room rate. Rates include all taxes and fees. To request a reservation, please complete the form below. In the Additional Comments box, please also include the following information so we can better assist you: expected time of arrival, flight number, number of adults, number of children, number of rooms, and room type(s) requested. © 2016 :: Amanaki Hotel :: All rights reserved.